Fraud expert Linda Webb, aka The Fraud Dog says that fraudsters are everywhere and in every profession. Some fraudsters have been committing fraud their whole lives. The only profession they know scamming anyone they can find. 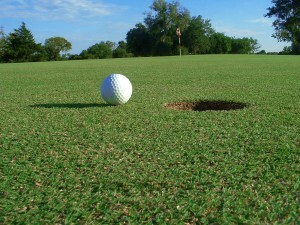 Specialty insurance, like “Hole-in-one” golf fraud, is not exempt from fraudsters. Although this type of fraud is certainly out of the norm, it just proves that fraud can be found everywhere. Be sure to ask for certifications, licensing, and other pertinent information with people whom you engage in business with. Be sure to do your due diligence and check references. Check out their prior businesses and be sure to see if they left their prior business in good standing. Fraudsters move quick and often times will change variations of their fraud, but they will typically go back to what they know best. In this case, the fraudster made small modifications to their business, but changed the business name multiple times. Everyone must be on guard, so as not to be defrauded by the fraudster, says Linda Webb, The Fraud Dog.